Vata-naashak mudra is useful to decrease Vata-dosha.If you are a Vata dosha person, this mudra is for you. 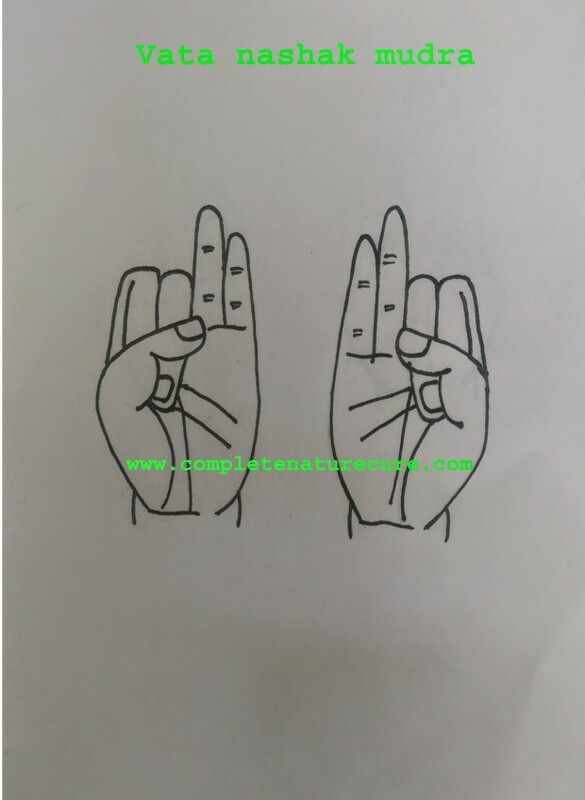 This mudra is very easy to do, just place the tips of index finger and middle finger at the base of thumb finger and applying gentle pressure. Vata-nashak mudra helps to overcome all the painful conditions like a headache, earache, toothache, throat pain, etc. Vata-naashak mudra helps to cut Vata-dosha.This mudra is helpful for the person of Vata Prakriti. It is helpful to control overactiveness of mind. Lack of stamina and endurance. Indecisiveness, impatience, timidity, inexplicable fear. Intolerance of cold weather or the wind. Underweight, emaciation, inexplicable weight loss. Numbness in the body parts. All the diseases caused due to Vata dosha can be healed by Vata-nashak mudrā. Thirty to forty-five minutes of regular practice is enough to get good results of vata-nashak mudrā.You can practice this mudra at any time or any position.It is preferable the early hour of the morning or in meditation to get best results. 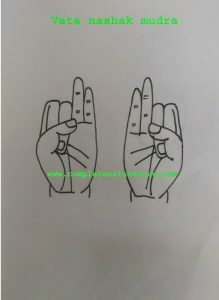 If you are a Vata deficient person, then do this mudra in moderation only.